Real Time Locating Systems (RTLS) are not new to the health care landscape, but continue to be updated to provide improved accuracy and new features. There is more than one type of RTLS and as the technology advances they continue to provide cost-saving opportunities. One key to proper use of a RTLS is finding the one that best fits the need of a facility. TechNation contacted some of the leading RTLS companies in the health care sector and quizzed them about the latest offerings for this roundtable article. Participants are Jake Bartnicki, vice president of sales, Intelligent Locations; Tommy Lee, senior director of product strategy, Accruent; Sandra Rasmussen, senior vice president, sales and marketing, Sonitor; Mark Rheault, founder and CEO, Infinite Leap; and Jeff Wells, vice president, workflow technologies, Midmark RTLS. Q: How have RTLS systems progressed in the health care space? Bartnicki: We have seen the health care industry become more and more excited about RTLS technology and the dramatic impact it can make on the hospital’s bottom line. What we have found is that our customers are hungry for actionable data to make better, more-informed decisions. The industry is demanding solutions that can easily add additional services and solve problems campus wide. RTLS systems are not just for locating equipment anymore – they’re about driving the most value to a hospital in a cost-effective manner. Lee: In the past decade, we have seen dramatic progress in RFID and RTLS technology. Performance improvements, new features, smaller devices and lower costs are a testament to the considerable investment that companies have made in the technology. If you’re in supply chain, materials management or support services, you’re often asked, “Why aren’t you bringing my stuff on time?” and you’re likely frequently challenged with how to answer. Technology has now evolved that gives these groups the power to change that dynamic. Powerful software platforms, combined with sensors, can collect more and more data from the physical space. Beyond simply passing data back and forth, intelligent algorithms and process workflows, continuously improved through machine learning and analytics, can generate a level of automation and accuracy that is staggering to comprehend. As hospitals continue to streamline workflow processes, they would do well to keep a finger on the pulse of these growing IoT technologies, because their advancement has already begun to shape the future. 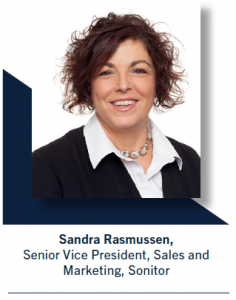 Rasmussen: Early RTLS installations focused predominantly on asset tracking – where is my pump? Where is my wheel chair? This was mainly as a result of some of the inherent location accuracy and battery power challenges associated with first generation RTLS technologies. With the advent of ultrasound-based RTLS from Sonitor, health care facilities now have the ability to reliably get room-, bay- and bed-level accuracy. This opens significant and real opportunities for facilities to look at, manage and optimize staff workflow and capacity, patient flow, equipment inventory, loss prevention and equipment distribution. Emergency department workflows can be mapped to minimize patients that leave without treatment and diversion hours. This alone can deliver significant ROI to hospitals. Patient wait times can be analyzed and bottle necks removed improving patient satisfaction scores. ORs can be scheduled more efficiently and effectively eliminating down or wasted time and increasing the number of surgeries preformed, ultimiately delivering more revenue to the hospital. Loss prevention and improved utilization of moveable mobile medical equipment can be automated saving productivity hours while also reducing or right-sizing equipment fleet, reducing cost and delivering significant savings. 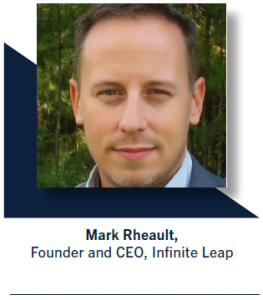 Rheault: We believe that the vast majority of hospitals in the U.S. with more than 400 licensed beds have tried some type of RTLS technology. Now, many of those have only attempted very limited deployments, maybe only used in conjunction with their nurse call system for example, or other single-use, single point type solutions. There really aren’t that many organizations that have been successful in deploying enterprise-wide, for multiple use cases. This is unfortunate because the technology is available, and the value is there. The most common use of RTLS technologies is focused around monitoring the location of mobile medical devices, which makes sense. But even those relatively simple deployments often suffer from inadequate resourcing and inadequate operational maintenance, in many cases rendering them practically irrelevant. Along with traditional asset tracking, we have seen many hospitals finding ways to leverage the location infrastructure to extend into environmental monitoring through such use cases as measuring temperatures of refrigeration units, blanket warmers and for ambient temperature in sensitive locations. We believe that even though the use of RTLS has progressed, it is far behind where it could be, and that is largely because as an industry we’ve been poor at measuring value and ROI. Thankfully, I think we’ve been able to prove, at a large scale, and in multiple locations, that RTLS is ready for prime time in health care and can justify the investments. Wells: We have seen the evolution of RTLS and its impact on patient care. Previously, real-time locating was often deployed for asset tracking and equipment management. Today, however, RTLS is recognized for its unmatched ability to capture location information and interactions of assets, as well as patients, staff and family members. This drives greater workflow efficiencies and elevates the care experience. The data points that are now accessible from patient-caregiver interactions are making dramatic differences in improving processes and reducing waste. Q: What factors should biomeds consider to determine cost of ownership? Bartnicki: Biomeds have enough on their plate to worry about a system that is not living up to its promised potential. When determining the cost of ownership there are many factors that can be measured: installation fees, hardware fees, battery life, ongoing maintenance, etc. What we believe to be the most important factor is ease of use. The system must perform the way it was intended to and nothing less. Cost of ownership skyrockets with RTLS systems with exorbitant upfront capital expenses that have to be recalibrated on a regular basis. Another huge factor is the expense of adding on additional use cases like patient tracking or hand wash hygiene monitoring, these costs have potential to cripple the organization and should be known before installing an asset tracking application. 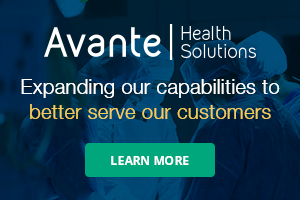 With additional departments leveraging these types of technology and the increased focus on data analytics, we have found being an end-to-end solution incorporating everything hospitals need from installation of hardware to management software to end user analytics decreases the cost of ownership and skyrockets the value for our clients. Lee: Solution architects must analyze the workflow(s) and design their system using the right combination of location sensors for high-accuracy use cases. In addition, the deployed solution must factor in the usable battery life of the tags and location sensors, and alert users of potential battery failure. Unlike passive tags, active tags cannot be detected if the battery needs to be replaced, rendering the tags useless. In some cases, tag size and operational temperature of active tags are limiting factors for their usage. Rasmussen: Biomeds should analyze total cost of ownership. This should include: total cost of software and any recurring annual fees or licenses; total cost of hardware and recurring annual fees; total number of devices that need to be installed and maintained to deliver required accuracy (room, bed, bay); if PoE powered, cost of cabling; if battery powered, battery life time, cost and type of batteries; disposal cost of batteries; tenting cost (if cabled devices are used when a change needs to occur in a patient’s room); hours and effort required to change batteries on different vendor devices; time to install and time to certify, train and hand over to hospital; tag cost and battery life; tag attrition; ability to obtain remote support and diagnostics; and real-time reporting of device and tag status (on-line/off-line) and battery status. Rheault: This is a great question, as over the last few years we have seen too many hospitals woefully underestimate the TCO. They focused on the capital investment, and explicit operational costs, such as annual support and maintenance agreements, but completely missed on planning for the resourcing, replacement and process change costs that are required to actually generate value in a demonstrable and validated form. The operational support and ongoing process improvement efforts are components we make sure are realistic and fully accounted for in all of our solution designs so that our clients are not surprised by the TCO when the technology has been implemented, and the program moves into years 2, 3 and beyond. One of the things that we really try to guide hospitals to do is to match their expenditures as closely to the expected return that they are forecasting. This helps focus the projects and also drives hospitals to find more ways to leverage the system to produce greater value. I also think it is a good reminder that cost is only an issue if you aren’t generating value. Meaning, as long as I’m creating a return in a reasonable time frame, that is a fair amount greater than what I’ve spent, cost really shouldn’t be an issue. In our work in this space, we’ve identified more than 120 different ways that RTLS and other real-time technologies can demonstrate value – such that the total value generated, cumulatively across all the use cases, far exceeds the TCO. Wells: Total cost of ownership can have many layers. The first consideration is the initial infrastructure investment of the hardware, software and implementation services. It’s important to understand what is really required to achieve the appropriate granularity to meet facility needs. For example, Midmark RTLS can provide immediate, zone-level accuracy using a facility’s existing Wi-Fi network; we also natively deliver bed-level accuracy without a host of extraneous devices, making it highly effective in the care environment. Establishing a carefully architected plan can make a significant difference to TCO. If you haven’t orchestrated in-depth conversations with a vendor’s solution architects and implementation team, you may be setting yourself up for additional expense at project launch. Beyond the installation phase, some vendors impose annual tag licensing fees and per-seat fees that can bloat ongoing operational costs, especially in larger health care facilities. Q: What are some of the newest features available in RTLS systems? 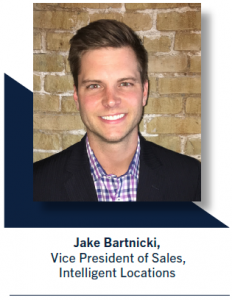 Bartnicki: There are so many ways to leverage RTLS technology and “connected” hospitals are finding more and more clever ways to improve operations and streamline workflows with the technology. While features and use cases are endless, I would say the most important feature is the scalability of the solution and how easy it is to add on additional use cases and features. For example, using our solution, once hospitals have a hardware infrastructure in place they can easily layer on additional use cases. Typically starting with asset tracking hospitals can add patient tracking, staff tracking, digital wayfinding, environmental monitoring, hand wash hygiene monitoring, etc. The possibilities are truly endless. 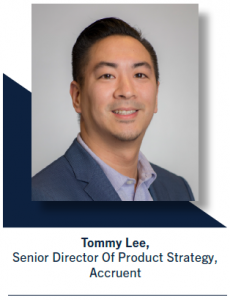 Lee: Many RTLS vendors have recently developed APIs which enable their systems to readily connect into core CMMS/HTM platforms, which are now also offering their own frameworks for RTLS integrations. These CMMS frameworks are typically bidirectional web services that enable “plug-and-play” integration so that RTLS data and controls can increase technician productivity and make patient care more efficient. These RTLS APIs enable automatic bidirectional flow of data such as badge number, badge type, location and extended data for mobile equipment such as arthroscopic instruments and portable X-ray machines. This gives biomed departments strong control, with the ability to create, update, associate and disassociate badges to equipment within the CMMS. Another new trend in RTLS systems is the increasing use of Bluetooth Low Energy (BLE) sensors, taking advantage of chip sets found in mobile phones and wearables (e.g. gyroscope, accelerometer, barometer, etc.) that communicate through a mesh network. Though they have less range and slightly less accuracy per sensor, with lower power requirements they last longer and their dramatically lower cost means they can be used more widely. Rasmussen: Hospitals are constantly being challenged to do more with less and to leverage technology that delivers value added benefits to their facility (in the form of ROI), helps them deliver a higher quality of care with greater patient satisfaction and is easy to manage and maintain – all at the right cost. Some of the newest features include infrastructure that combines Gateway and Location Transmitter technologies into a single device, helping reduce the total number of devices required in a deployment. Another is a staff tag designed with the health care provider in mind via a discreet design (form factor of standard issued ID badge) delivering support and help at the touch of a button. Also, RTLS administration and system performance software with a web-based user interface that provides easy access to tag and device status and battery life making managing and monitoring the system painless and efficient. One exciting new feature is ForkBeard – a unique technology that transforms the billions of smartphones into tags – your phone is now your tag. One hundred times more accurate then BLE, Forkbeard accurately positions mobile devices such as smartphones, tablets and laptops with a latency of only up to 1-2 seconds. And, the ultrasound technology always ensures 99.99 percent room-level location accuracy, which makes Forkbeard the only indoor positioning technology needed for all workflow and wayfinding applications. Rheault: Technology is always changing, but at the root of an RTLS system, it is all about providing accurate and timely information on where something is. The systems have become better at doing this reliably over the years, and the technology works. I think we will continue to see new vendors appear, and existing vendors get better. I think prices will drop, devices will get smaller, various systems will be able to integrate together better based on standards, innovation will increase, and, as this happens, hospitals will be able to more easily justify the programs. But, with regard to the latest and greatest, I think the most encouraging developments are around just how many ways health care organizations are able to use the technology to make a difference in the way care is provided. We honestly see that the patient experience can be made better and health care can become more efficient, all as a result of RTLS and the data it produces and processes that it enables. We think that is much more meaningful than new technology features, even though there are some pretty cool things happening in that area as well. 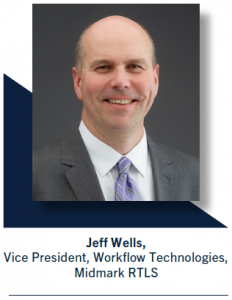 Wells: RTLS solutions continue to innovate, streamlining connectivity and usability, making it easier for caregivers to focus on direct patient care. Our integration with smart IV pumps shows the location of each device, as well as the pumping status. Not only does this solve the dilemma of searching for IV pumps, it also eliminates the need for staff to enter a patient room to determine if the located pump is in use. Retrospective data on pump location also provides insight to pump utilization, enabling health care organizations to reduce costs by using devices more effectively and managing a leaner fleet. There are many other features that make RTLS user-friendly in the health care market, including more wearable badge options for patients and staff, and enabling BLE wayfinding to help patients and family members better-navigate their visits. Q: What are the different types of RTLS technology and what are the benefits of each? Bartnicki: Legacy RTLS systems like Wi-Fi, RFID, infrared and ultrasound have been around for many years and a lot have not lived up to expectations. Wi-Fi technology can leverage the current Access Point installation, but have high latency, low battery and low accuracy. Infrared and ultrasound have high accuracy but are extremely expensive and are incredibly laborious to install. We have found that Bluetooth Low Energy is a great technology at a more affordable price point. Some would say that BLE is not accurate enough, but with smart filters and algorithms we can provide room-level accuracy and it can be installed and operational in two weeks. While every technology has its negatives and positives, selecting a company that will partner with your organization and help the system grow and provide additional value is paramount. Lee: RTLS operates through “tags” which provide tracking visibility by constantly pinging their locations within a facility. One of the most common systems uses triangulation within a facility’s network of Wi-Fi access points. If floor-level or area-level accuracy is sufficient for the facility, this Wi-Fi network support is cost effective as it doesn’t require additional infrastructure. However, when room- or zone-level accuracy is required, additional specialized sensors must be installed in strategic locations. As active tags pass through their field, the system updates their “last read location.” These use technologies such as infrared (IR) light, low-frequency radio, ultrasonic sound and BLE. 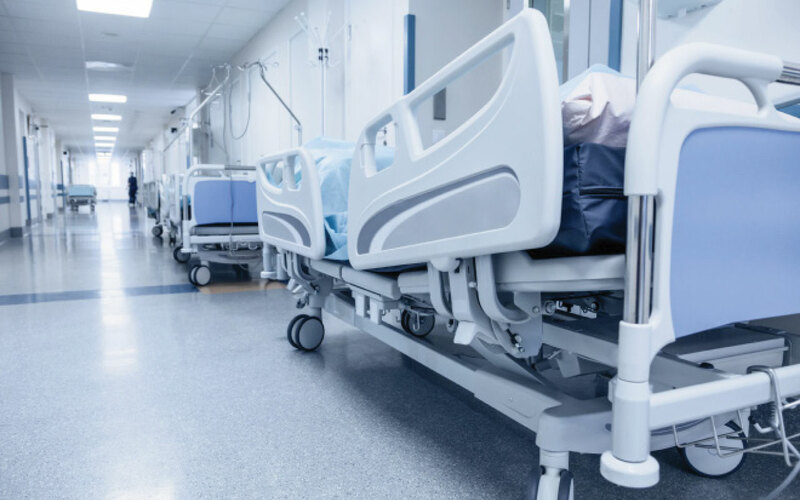 RTLS technology is particularly popular for highly mobile assets such as wheelchairs and patient beds. RTLS has also gained momentum in recent years for tracking staff, including nurses, doctors and even wandering patients, with systems that can be programmed to trigger on-demand alerts and notifications. RTLS is a more cost-effective approach for facility-wide coverage compared to RFID systems, which require the installation of readers and antennas throughout the hospital. Rasmussen: There are many types of RTLS. Radio Frequency (RF) and Bluetooth Low Energy (BLE) are predominantly communication tools and can deliver zone level accuracy at best, but do not deliver room or sub-room level accuracy. For the room-, sub-room-, bay- or bed-level accuracy, ultrasound-based RTLS provides the best level of accuracy, although infrared (IR) has also been used. Rheault: There are different RTLS technologies, such as Wi-Fi, BLE, infrared, ultrasound, passive RFID, UWB, and proprietary RF. All of them have pros and cons, and different health care organizations have various things they are trying to accomplish, such as finding mobile equipment, understanding room utilization or ensuring vaccines will not get spoiled. Each of these use cases requires different accuracy levels of locating hardware and software functionality. That’s why we always start our collaboration with health care systems by performing an RTLS solution design. During this process, we discover the needs and propose viable solutions and associated cost that align with their objectives. Since most hospitals have many use cases, we usually see that a hybrid approach is going to be required. So, we have our favorites for specific use cases based on our experience in working with dozens of products and vendors over the years, but we never go into a new project with a predetermined preference for which technology is going to be best. It always depends upon the goals and requirements of the situation. Wells: Midmark RTLS, formerly Versus Technology, offers both Wi-Fi locating for zone-level accuracy, as well as discreet, aesthetically pleasing sensors that capture IR signals emitted by badges and tags. This design provides hospital-wide visibility while achieving bed-level and better granularity where it’s needed with one simple sensor in each location. Although our platform was the first on the market to use infrared, numerous competitors have attempted to engineer around this design to avoid patent infringements. Clearly, not all RTLS solutions, even those that use infrared, are designed in the same way, making it even more important for health care buyers to explore the unique differences of each vendor’s offerings, regardless of the locating technologies used. Q: What else do you think TechNation readers need to know about purchasing and using RTLS? Bartnicki: RTLS technology does not have to be daunting or have incredibly high initial capital expenses. If you have someone telling you otherwise, get a second opinion. We put significant resources into our platform to make sure it works easily and as it was intended to work while staying affordable for any hospital. When evaluating RTLS solutions find one that can solve your immediate need and then grow with your organization. There are so many opportunities to leverage technology to improve operations and provide meaningful data analytics. When used to its fullest potential RTLS technology can have a significant impact on operational and capital budgets which frees up resources for the institution to reinvest in itself and offer new and exciting innovations for patients and staff. Lee: While RTLS technology will tell you where something is, it does not tell you whether its being used and how much (i.e. utilization). In combination with RTLS, medical device discovery and security tools that monitor network traffic down to individual devices will provide data around actual utilization and the location at the time it is being used. This additional vector of data provides a deeper layer of information for capital planning. For example, the average hospital systems’ infusion pumps hover around 40 percent actual utilization rate whereas higher efficiency hospital systems with good people, process and technology can achieve 60 to 80 percent utilization. Ultimately, this reduces the number of infusion pumps to purchase, manage and maintain. Lastly, a common alternative to employing RTLS technology with closed loop workflows is a decentralized model of keeping additional equipment on the floors. However, this approach often leads to overbuying of inventory, and an inconsistent cleaning process. Although this can be an easier approach to implement, with the additional equipment that HTM is required to maintain along with ever-increasing emphasis on reducing hospital acquired infections, one must seriously evaluate whether this alternative is a better model, financially and for patient care, compared to a technology and data-driven model. Rasmussen: RTLS programs require thoughtful evaluation and investment to implement. The long-term value of having RTLS is well documented in terms of meaningful improvements in quality, patient satisfaction, compliance, workflow, infection control and more. When considering an RTLS, technology platform decisions matter – especially with regard to accuracy, infrastructure, and ongoing maintenance which all contribute to cost-of-ownership and speed of return on investment. It is important to ensure that there is proper buy in and training of the clinical staff that will be utilizing the RTLS as well as the biomed staff. When evaluating a technology, key features and benefits for evaluation and consideration include: use case and overall level of accuracy required; location update rate, accuracy; reliability of the system; scalability; and aesthetics. Rheault: We started this by talking about how the majority of the larger health care systems have tried RTLS at some point and in some way. However, what we didn’t make clear is that there has been a lot of “wreckage” left in the industry. Lots of projects that didn’t deliver as expected and ended up being a wasted investment. I want to stress that only a small portion of this wreckage was caused by poor technology. The majority of failed projects were because of the lack of adequate planning, identifying and implementing appropriate process improvement changes, understanding the ongoing operational maintenance needed ongoing and not baselining and capturing the key metrics such that the amount of improvement could be identified and communicated to the executive sponsors. That last one is particularly important as that can kill or slow down many promising programs. Showing success at each stage is critical to building momentum for any program designed to grow over time, such as with RTLS. Also, if I could make one concept crystal clear, it would be that while there is a potential for great value, it does take work. While not anywhere near the effort or the cost of implementing an EMR, it is similar in that you don’t just install Epic or Cerner on a server and walk away and expect it to succeed. Hospitals need to think about RTLS in a similar, though obviously scaled back, way. Learn from those that have made mistakes so that you don’t repeat them, and copy those that have been successful so that you can move with as much velocity as possible. The path and the examples are there … don’t try to reinvent the wheel. Wells: Purchasing an RTLS solution isn’t limited to an infrastructure decision. Reputable vendors prompt buyers to ask questions of manufacturers to understand how a real-time locating solution will support workflow and efficiency-building within their unique care environment – not only for asset tracking, but also for patient flow applications in the ED, OR and hospital-wide. Stakeholders should call or visit RTLS reference sites, see the different technologies in action, examine device installation and make sure it meets both short- and long-term goals for aesthetics and functionality. They should also consider how solution deployment will impact the culture of their organization. Without staff engagement and a change management plan, technology solutions can be undermined by end users, resulting in unsuccessful utilization.